Teatro dell’Eco offers workshops modeled on the Corporate Theatre concept, a medium focused on internal and external communication. This style is very popular in France and Italy and more recently has successfully emerged in North America. Corporate Theatre is a tool that companies can use to train employees for improving several soft skills such as communication, team building, leadership, etc. If your company is looking for a fun soft skill training Corporate Improv Training and Commedia Strategy are what you are looking for! 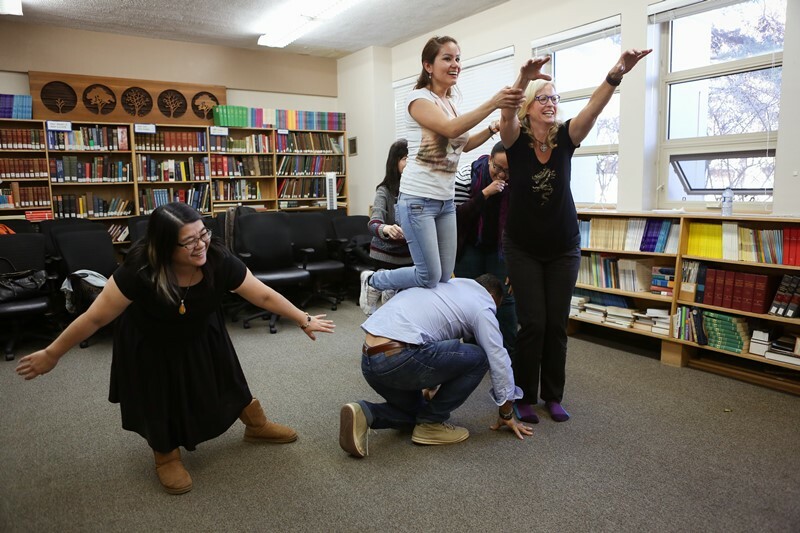 The workshops guide the participants to create an improv play that includes a negative behavior and a creative way to overcome it. Commedia Strategy uses as well some improv techniques but works deeper on specific roles such as the Customer Service Representative or the Leader. Participants build a mask shaped on the characteristics they believe the role they are working on has and write a scenario for this character. Finally, they perform the scenario and improve the not-effective behaviors of the character they are exploring. 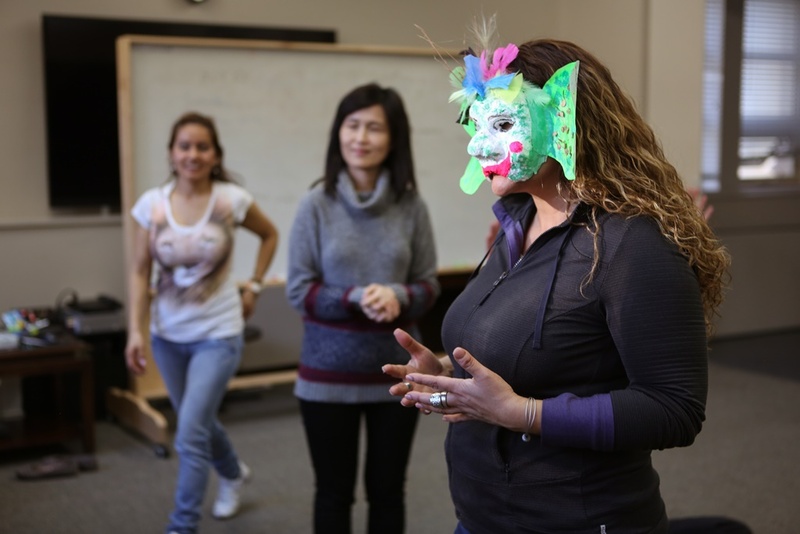 This workshop merges Improv with Commedia dell’Arte in order to create a safe place for creative change-makers. Through this training participants will energize, collaborate and produce innovation in a meaningful and permanent way for themselves, their team and their larger organization. In both cases the result is guaranteed fun and a high level of content retention!